The 6th Annual Boston Handmade Marketplace is fast approaching on Saturday, July 13 (rain date July 14), from 3-7pm. Join us for an afternoon celebration of all things art and craft including original handmade decorative and functional works by a myriad of local New England independent artists, craft demonstrations and DIY activities for people of all ages, live music from some of Boston's best local bands, and more creative fun than you can shake a knitting needle at. This is the first preview in a series leading up to the Marketplace to give you a sneak peek on all the handmade greatness that's coming your way. Today the spotlight is on: CERAMICS. City by The Sea Ceramics is making her triumphant return to the Boston Handmade Marketplace for her 4th year in a row. Her ceramic work has Asian influences and reflects a love of teabowls and maebyongs, shino and tenmoku glazes, and surfaces with rope inlay and impression. Of her art, Karen Mahoney says, "The influences of various shapes, glazes, and techniques are blended with a comfortable, modern style, bringing the qualities I love into the homes of others and becoming part of their daily lives." Early Bird Designs is new to the Boston Handmade Marketplace and represents the work of ceramic artist Jill J. Burns whose current work is made of porcelain, with handbuilt and wheel thrown parts. Each piece she creates is inscribed with a design using a Korean technique called mishima which is a technique of carving images into the clay and inlaying with dark clay 'slip'. The delicacy of this technique is matched only by its beauty. 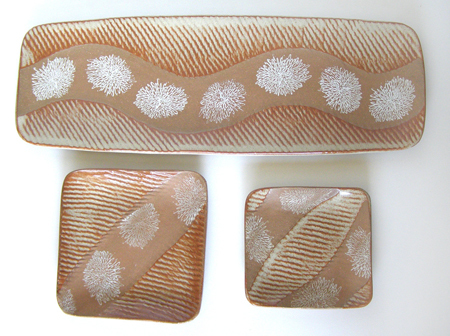 Also debuting at the 2013 Boston Handmade Marketplace is Hathaway Ceramics. 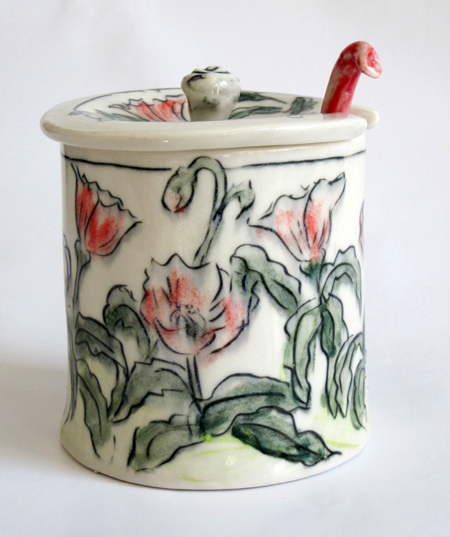 Bringing yet another different ceramic technique to the event, Hathaway creates most of her work using a 'soda kiln'. Through the soda firing process a soda ash and water mixture is sprayed into the kiln towards the end of the firing. As explained by Ingrid Hathaway, "Each adjustment to the fuel or air supply during the firing is made through a conscious decision based on previous firing experience and a willingness to experiment with the outcome. The results are unique pieces that display an individual personality and cannot be replicated exactly from firing to firing." If you haven't guessed it yet, we really love clay at Boston Handmade, and in addition to the independent ceramic artists exhibiting at the 2013 Boston Handmade Marketplace we are also honored to host Mudflat Studio whose mission is to promote and expand the appreciation of and participation in the ceramic arts. 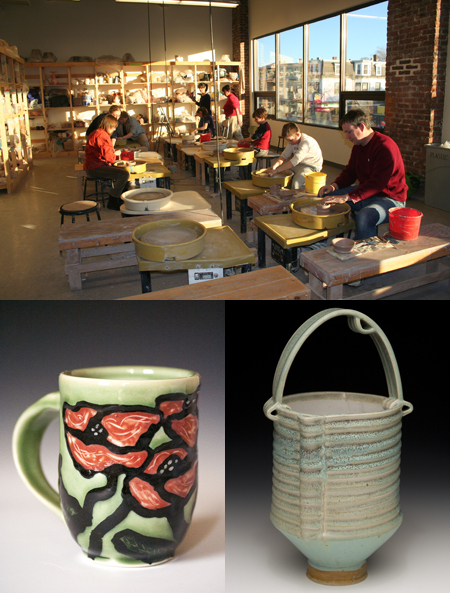 Mudflat offers classes, workshops, outreach programming and events for students of all ages, abilities, and socioeconomic backgrounds along with studio rentals which currently support 34 accomplished clay artists. 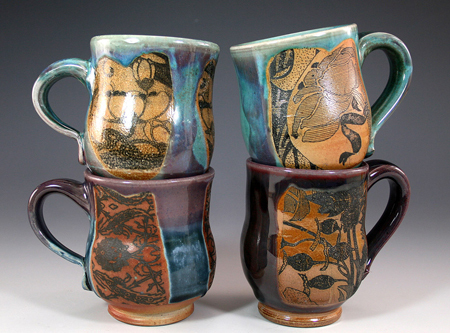 At the marketplace Mudflat will be showing and selling ceramic work made by a variety of their studio artists, faculty, and staff, and they will also be doing demos and some surprise activities! Stay tuned for additional Marketplace Previews as we get closer to the big event!